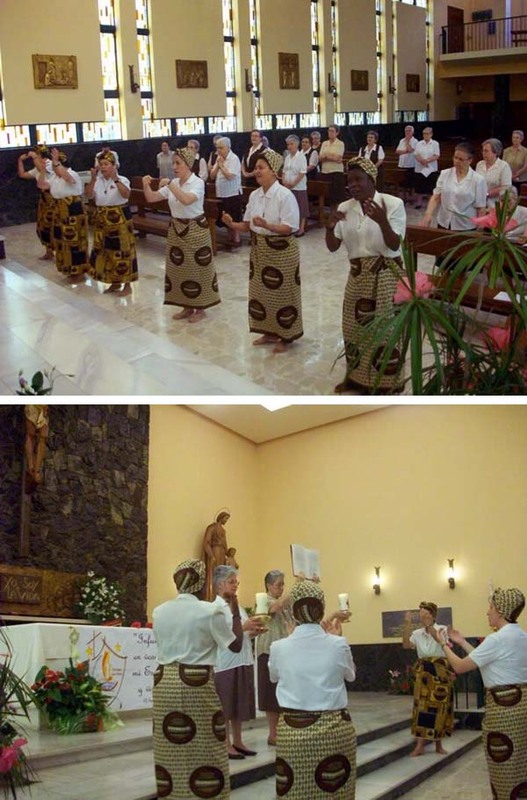 In these photos you see nuns dancing in a cloistered Carmelite Convent in Spain at a ceremony this year, 2011. The nuns exchanged their brown habits for African-style skirts and beige blouses; their solemn veils were replaced with turbans, and their discreet sandals with transparent slippers to give the impression they are shoeless. Garbed thus, they perform a dance that moves toward the altar where a reading ends the ceremony. Cloistered nuns do not engage in missionary work and, therefore, do not need to adapt to any local culture, as Vatican II instructed religious missionaries to do. 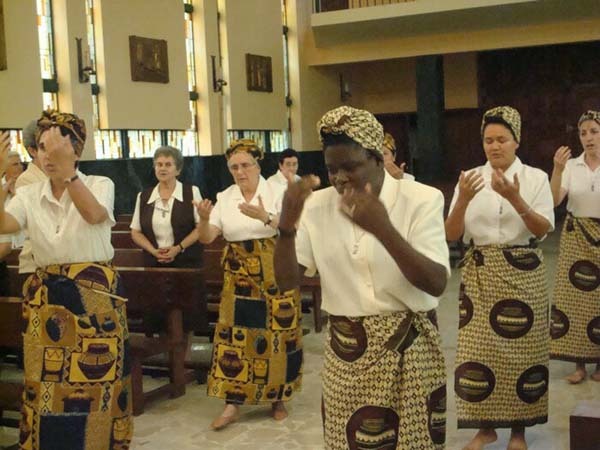 Nevertheless, these Spanish nuns found some pretext - perhaps the visit of the African nun pictured in the front right - to practice inculturation in their contemplative life. One sees that this tendency to adapt to the world and other cultures is not a need. Rather, it reflects the eagerness of the apostate nuns to abandon their former holy and traditional customs and dress. The need to fell themselves as a part of the great apostasy of the Conciliar Church.